"We want to enable food crops to become our primary fibers," Nichelson told Fast Company. 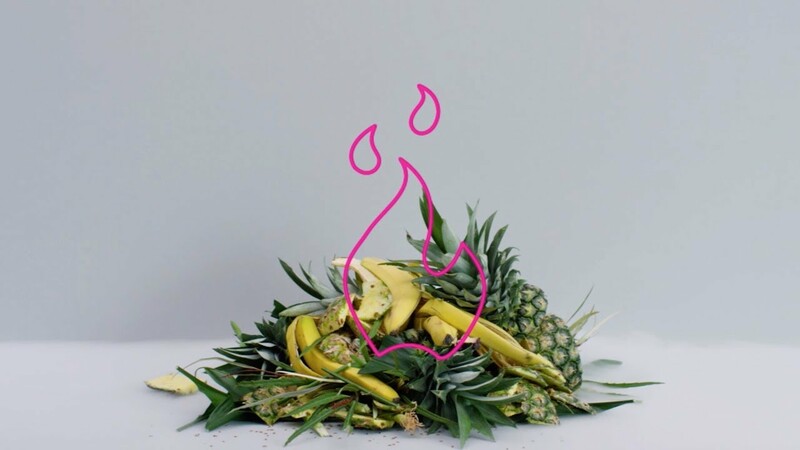 That technology, the Agraloop™ Bio-Refinery, uses pineapple leaves, sugarcane bark and banana, hemp and flax stalks to make a textile-grade fiber. The technology recycles problems into solutions. 270 million tons of banana waste is left to rot each year, contributing to methane pollution and crop disease. But burning crops causes more than 10 percent of global annual air pollution deaths, according to the product's website. Instead, Nichelson wants people to wear that waste instead; just the five crops currently used in the Agraloop could produce 250 million tons of fiber a year, enough to exceed global demand 2.5 times. "[It's a] regenerative system that uses plant-based chemistry and plant-based energy to upgrade the fibres whilst enriching the local communities and creating a new economic system," Nichelson said in a press release. The Agraloop systems are intended for farmers and producers to own so that they can dispose of their own waste and use it to augment their own revenue, according to Fast Company. In April, Circular Solutions won the 2018 Global Change Award from the H&M Foundation, which comes with a $350,000 grant Nichelson said he would use to scale up production of the Agraloop. The Agraloop isn't the only sustainable technology that Circular Solutions has developed. Texloop targets the problem of textile waste—almost 85 percent of used clothing gets sent to landfills—by upcycling it into new fabrics. Orbital™ Hybrid Yarns are high-quality yarns made from recycled food and textile fibers. Nichelson, who is developing partnerships with H&M and Levis to use his fibers, told Fast Company that the fashion industry was increasingly interested in sustainability, largely for economic reasons. This year's McKinsey and Company and Business of Fashion annual survey said the industry would see losses of three to four percent unless it could increase efficiency and reduce waste. "Right now, it's so extractive and so destructive, and we're looking at these resources becoming more and more finite as the population grows," Nichelson said.